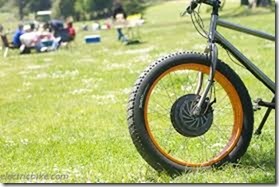 An electric bike is just like a bicycle, but with an electric motor and battery attached. When the assistance is turned on its like having a constant tail wind helping you along, meaning faster, further and sweat free travailing, at the same time on a bike that is great fun to ride but yet practical. The average UK commute has now risen to just under 9 miles, which most people could easily cycle in under an hour. Electric bikes could do this much quicker, and leave you fresh and ready to work at the other end. Meaning you can go about your normal day without having to sit in rush hour traffic or on over crowded public transport, saving you a lot of money and a lot of time. Our E-bikes start from £1100 which is the same amount of money you would spend on fuel for your car if you did a 35 mile round trip to work 5 days a week over a year, but because you are on a bike you wont have the associated costs of running a car like insurance, tax, mot’s, expensive maintenance and parking. All of this leaves you with more money in your pocket, improved fitness and a reduced carbon footprint. One of the things that’s sometimes overlooked when buying an e-bike is the quality of the bike behind the electric gubbins. 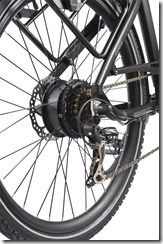 You need to remember you’re buying a bike which has electrical assistance. If the electrics fail, what are you going to be left with? A decent bike? Or a heavy, odd shaped lump that’s nothing but hard work to ride? There are two key areas you have to pay attention to, what quality of bike you’re getting, and what quality of electric assistance system you’re getting. Both are equally valid, and will differ hugely depending upon the price. We searched high and low to find the best entry/mid level e-bike available that offers good value and great quality. With both electrics and the bike itself in mind there was a clear market leader. A UK company that’s been doing e-bikes for over a decade, Wisper bikes is a UK leader of e-bike tec and design. With offerings from as little as £1100 and fantastic build quality they stand out from the rest. Wisper bikes come fitted with with a rear wheel motor, keeping the bike looking traditional, at a glance you wouldn’t think its an E-bike at all. For the mid to high end E-bikes we have gone for some house hold names in the cycle industry such as Trek, Cube, Electra & Merida. Between them they have partnered up with Bosch and Shimano to offer the best in motor and battery technology giving you stylish and efficient e-bikes starting from as little as £1599. Motor choice falls into two main types. Either it’s mounted in one of the wheels (hub motor assist) or it’s mounted at the crank and pedal area (crank motor assist) at the bottom of the frame. Typically, crank assist bikes have a reputation for dealing well with steep hills, but can be a little on the noisy side depending upon the brand and type. 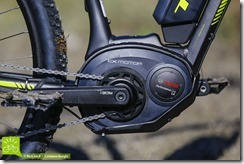 Hub motors tend to be very quiet, but often don’t handle hills as well as crank assist systems and are often less powerfull. This is normally the cheapest option for an electric motor system as you don’t have to worry about building the hub around the gear system. Their are some big draw backs in having the motor at the front, firstly all the power is being put through the part of the bike that controls what direction you go in, meaning it can offer unwanted handling problems. secondly, as the majority of the rider weight is situated to the back of the bike you can find a font wheel motor wanting to spin up on lose ground and leave you with little or no control at all. We have decided not to offer front motor systems as they do not offer the best rider experience and nether offer the best long term solution. The rear wheel motor offers a much more user friendly experience and still keeps the cost down compared to the mid drive system. 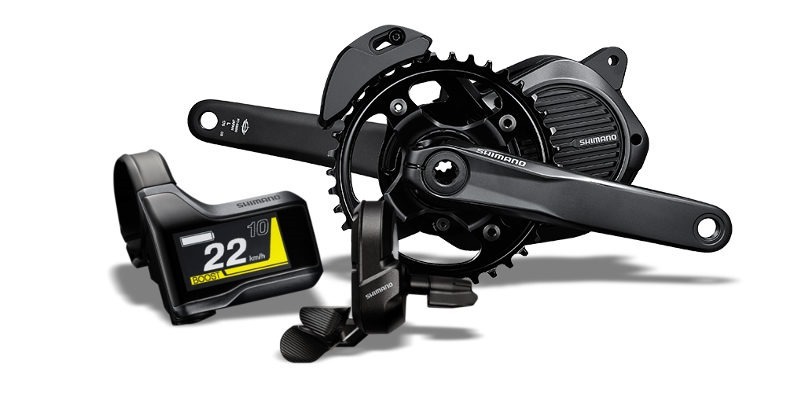 Wisper offer two rear drive systems, a cadence system that uses magnets to sense when the rider is turning the pedals and then applying full power to the rear hub. 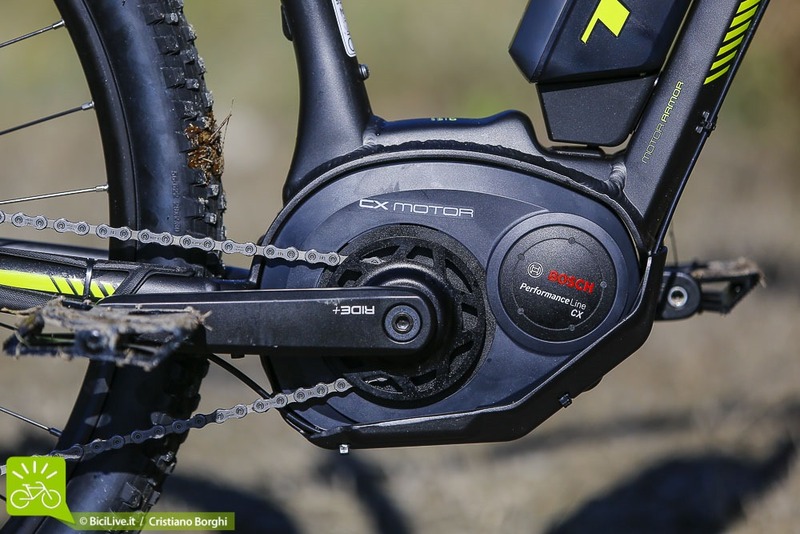 The other option is a more sophisticated motor that has built in toque sensors that reads how much force you push down on the pedals and then sends the optimum amount of power to the rear hub. With the toque option being 40% more efficient in battery consumption and a higher power output, along with silent operation and no resistance when riding with the power off there is a big difference between the cadence and toque system. The best way to find out what works for you is to have a test ride, many people say that the torque hub from Wisper is a close rival for the mid motor alternatives. 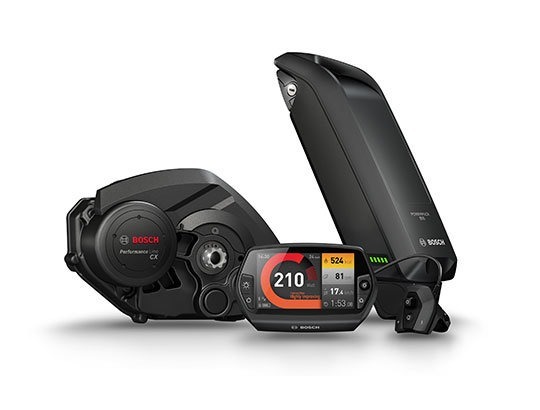 This is the most sophisticated motor option available, with a number of well known brands such as Bosch, Shimano and Yamaha all offering state of the art systems. Center drive motors are well known for their ability to climb hills, they are very torquey, giving you lots of pulling power, or in the case of a bike able to move large amounts of weight with ease. 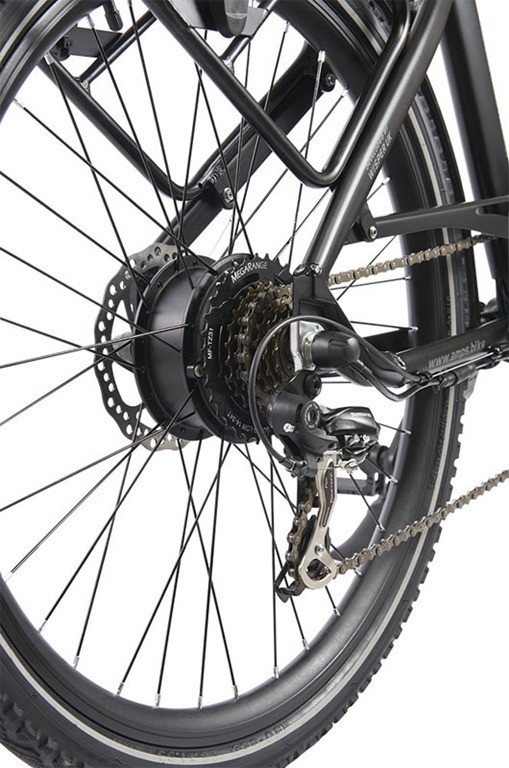 Not only are they high in torque but the drive system is being used through your drive chain, this means it has the advantage of using your gears as you do when under load unlike the hub motor that is just spinning a wheel. More sensors more efficiency! Crank motors use 3 types of sensors and taking up to a thousand measurements a second allowing the BMS (battery management system) to be as efficient as possible, resulting in more smiles and more miles :). Obviously this does come at a cost, but nothing in life is free and the extra grunt and efficiency is well worth the investment. 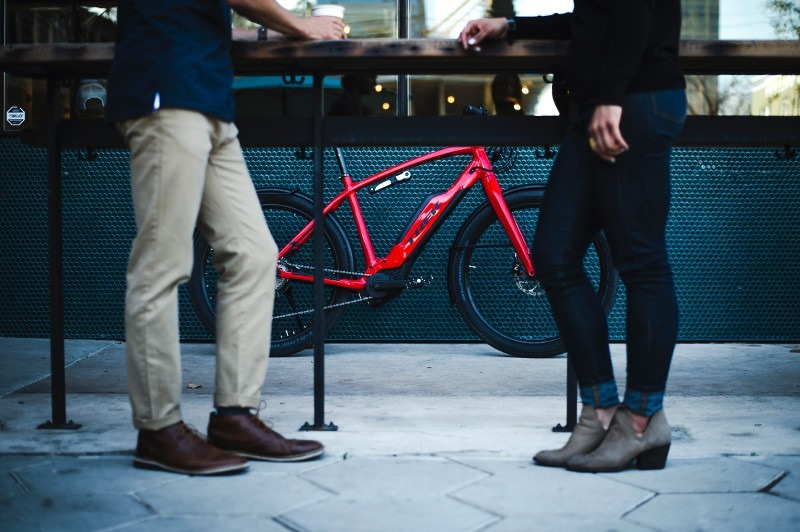 Our mid mount e-bikes start from £1850 and come in a number of bike styles from your round town commuter to high end supper commuters and full suspension mountain bikes. As with any e-bike its all about getting on and having a go. Batteries are made up of cells, and they don’t all last forever. In a good battery pack the cells will be matched as well as possible at the manufacturing stage. This should mean that in the long run all of the cells in the battery pack ‘wear’ at the same rate, giving roughly the same capacity to store energy throughout the life of the battery. In a not so good battery there might be one or two cells that are less well matched, and this will simply mean that the other cells in the battery will be worked harder every time it is used – thus shortening the life of the battery pack. Good batteries made of quality matched cells are important. The worlds leading battery manufacture is Samsung, and that is whats used in all good quality e-bike batteries. The Battery is the most important part off the e-bike as it is its power source, you can have the worlds best motor but it its paired up to a poor battery then you will only have a middle of the road system. Batteries only have a certain number of times that they can be fully discharged and recharged. This is called a “cycle life”, and you should expect to get 1000 charge cycles out of a good quality battery and still be able to hold 80% charge capacity. After this most batteries are still good for another 800 charge cycles but with lower charge capacity until they are seen as not usable Eventually their ability to store and deliver electrical energy is degraded to a point where they become more or less useless. Note that this means one complete charge cycle, so if you use half your battery’s capacity, then charge it up, then use half again and charge it up again, that counts as one complete charge cycle despite having charged it two times. Batteries don’t like cold weather. As the temperature drops the chemical reaction that gives us the electrons used to power the motor happens more slowly. This means that the battery essentially can’t keep up quick enough with demand when it’s cold. What we mostly notice as a rider, though, is the drop in voltage the battery can supply when cold. This voltage drop reduces the power the motor can give, and we feel less assistance, as volts x amps = watts, and basically watts is the motor power. It reaches a state where the motor seems to be doing nothing. Hence the feeling of the battery being flat – though technically, it’s not flat, it just can’t supply the demand upon it. Charging your battery indoors where it is warm, and fitting it only when you need to ride out in the cold can reduce the effect considerably. We would also advise getting a neoprene battery cover, this helps to keep the battery warm in the winter. There are quite a few different battery types out there, but the main two are nickel based or lithium based. Both have their good points and bad points (all batteries have bad points). Nickel Metal Hydride (NiMH) is a well proven and established battery type, and although it doesn’t have the same energy storage capacity per kilogram as most lithium batteries, it is very easy to predict its service life, and it is cheaper. Lithium based batteries come in quite a few types, such as Lithium Ion (Li Ion), Lithium iron phosphate (LiFePO4), Lithium Polymer (LiPo), Lithium Titanate (Li2TiO3) and so on. What they all have in common is a high energy storage capacity per kilogram than more conventional battery types – this helps make e-bikes either lighter, or the same weight with more range when compared to other battery types. All modern e-bikes will be fitted with a form of Li-Lon battery. Battery size is important, and we don’t mean its physical size, although that could be a concern if it’s huge. We’re talking about its capacity to store the energy which can be used to do the work of giving you 250 watts of assistance. A battery with a larger capacity will be heavier and physically larger than a battery of a smaller capacity (comparing the same battery materials of course). Although the difference between a large and a small battery might not sound like much when you measure them and weigh them, there’s a difference in the amount of time it takes to charge them. Some of the better charging systems measure the voltage of each individual cell in the battery, and then discharge the higher ones to match the lowest one. A larger capacity battery will generally have more cells, so it’ll take longer to balance the cells before charging can even begin. If you want quick charge times and/or only need assistance for a handful of miles each day then a small battery has benefits. 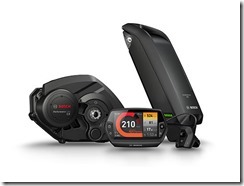 If a longer range is what you’re after then you’ll need a larger capacity battery, and you’ll need to learn to manage your energy usage when riding by lowering the assistance level when you really don’t need the full 250 watts helping you along. Ultimately, finding your perfect e-bike is all about swinging a leg over and having a go. We encourage our customers to take our bikes out and see what they can do. We challenge you to ride our e-bikes and not smile, easier said than done. So if you fancy a ride then pop down to Bike Zone or call us on 01865 728877. We can also arrange a test ride with a staff member so you get to try multiple bikes back to back on a local loop.